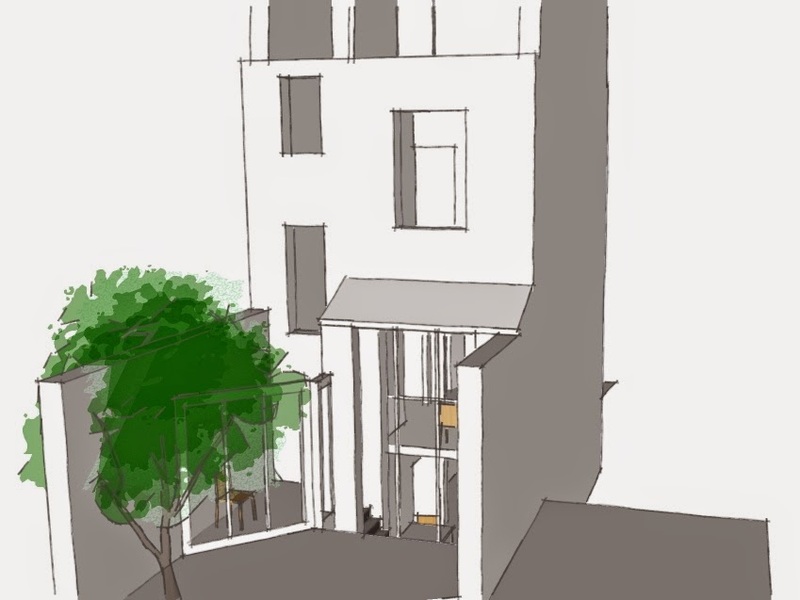 Drawings for a small extension to a Brussels house: the idea is to open up the basement so that it can be used for cooking and eating (with a larger dining table on the ground floor). The house is not big; 4.60 m wide by 8.80 deep. I propose to add a metre at the back, enough to place a staircase there and create a large window, stretching from the basement to the ground floor. The new staircase should change the dynamics of movement in this Belgian two-up, two-down. These drawings show a section of the house: the side wall (the one to the right in the drawing above) has been cut away. Placing the staircase near the light should make taking the stairs a happy experience (is it ever...?) and it should take the dank feeling away of descending into a basement. At present, the staircase is behind the wall behind the table. The space there would become a guest bathroom and kitchen storage area. The second trick to make the basement feel brighter and airier, is by raising the ceiling. The room above has a high ceiling compared to its floor print. Raising the floor would re-dimension it. 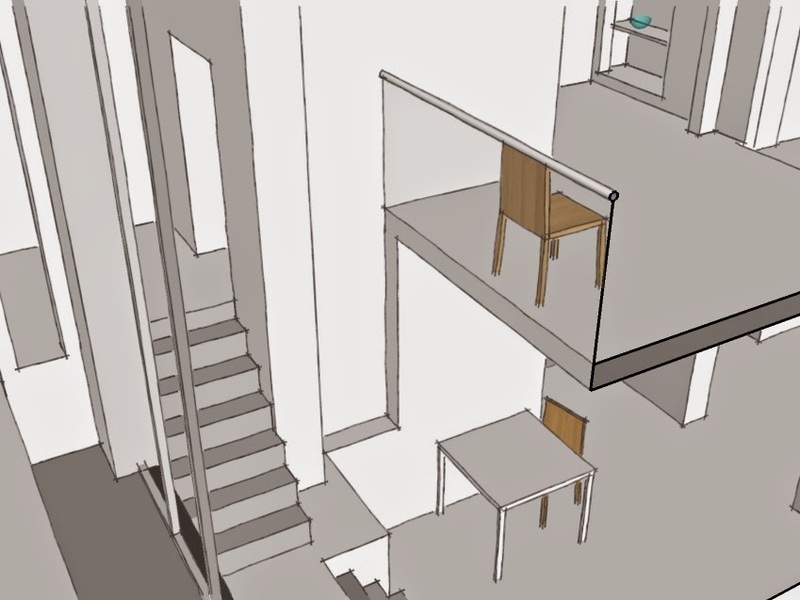 I am also suggesting to create an open space between the ground floor and the basement, again to let more light in the basement. 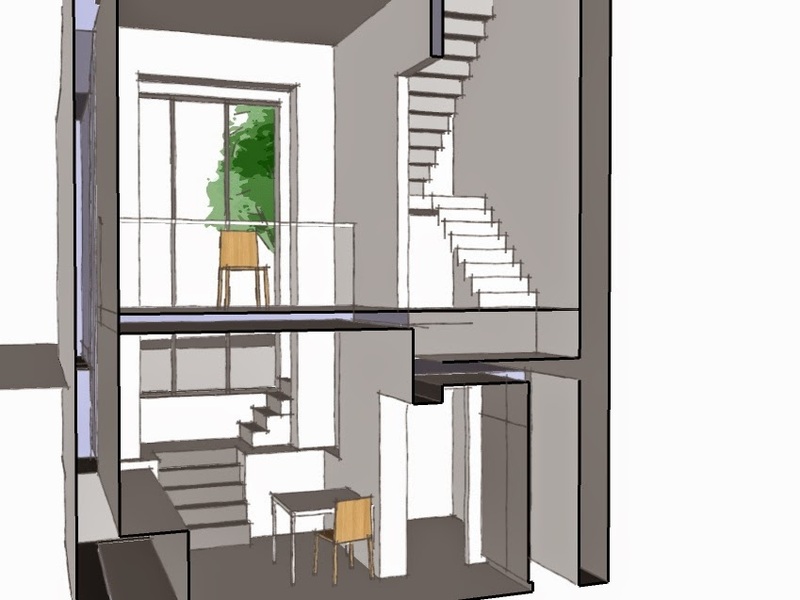 This drawing shows the raised floor, the repositioned staircase and the railing behind the stairs, from where you can look down into the kitchen. The ground floor front room (to the right in this picture) remains at its original level, two or three steps would lead up to the raised seating area. The raised floor level continues into the hallway, making full (visual) use of the 4.60 m width of the house. 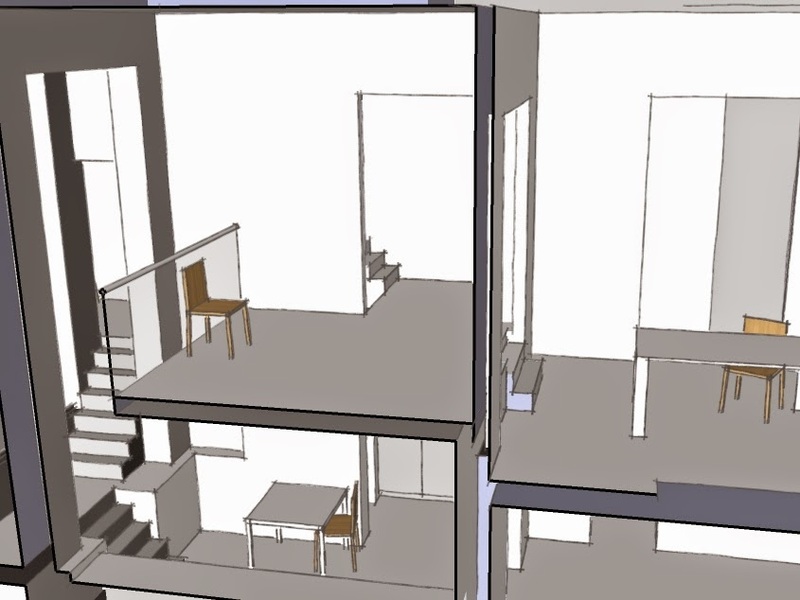 A cut through showing the ground floor and the kitchen below. 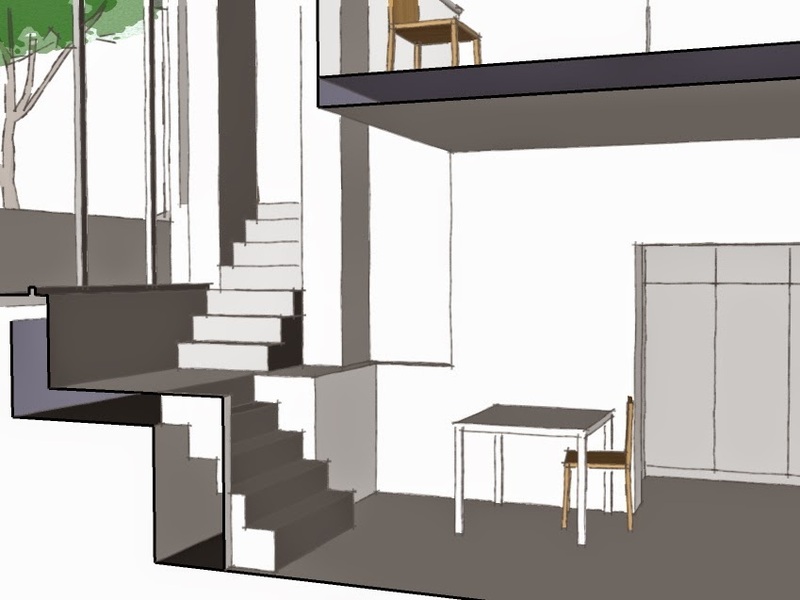 I think the open space by the window will create a spacious feel at the back of the house. This project will take shape in 2015; more to come on my website!